The phenomenon of paperless billing is not only threatening to put your mail carrier out of a job, it’s also contributing massively to the unclaimed money problem this country has been battling for years. With customers now used to receiving their bills online, they’re not visiting their mailboxes as much. The mail that does get picked up typically goes in the trash, if it’s even opened at all. This leaves uncashed checks by the millions flowing into the US treasury office marked for the unclaimed money vault. With billions of dollars being held, there’s a good chance that you could find old uncashed checks in your name with a simple online search. Luckily, that search is easy with the Cash Unclaimed database. With some simple identifying information and a little bit of hope, you could find a potential pot of gold at the end of a paperless rainbow. Uncashed checks are a growing problem, but it’s one not often talked about. When a check is issued to and mailed to a person and that person fails to receive it, you may wonder what happens to that money. If no one cashes the check, the money will be sent to the state’s uncashed checks department inside the treasury. There the checks will sit until someone steps forward to claim them. 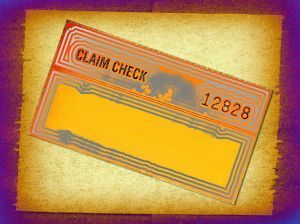 To find out if you have a right to claim uncashed checks that may be addressed to you, log onto the Cash Unclaimed database and insert your first and last name. Uncashed paychecks are one of the main contributors to the billions of unclaimed cash lying with the state treasurers of the U.S. In spite of relentless efforts by the state governments to return the cash to the rightful owners, the amount is staggering more and more by every passing day. It has reached over $32 billion recently with no signs of receding. It’s interesting to note how paychecks end up remaining uncashed. One Minnesota citizen found a $700 paycheck lying in his old books. He discovered it after one and a half years while he was dusting off the books. Uncashed checks remain a major contributor to the hoards of unclaimed cash safeguarded by US treasurer. Current estimates project the amount to be $33 billion. In spite of fervent efforts by the state, the cache is growing by the day and the government is finding it difficult to return the amount to its rightful owners. Though the campaigns run by the government have shown positive results in terms of increased awareness about the unclaimed money, it is vital to initiate preventive measures to avoid such pile up in the future and stop unclaimed cash from burgeoning further. You are currently browsing the archives for the Uncashed checks category.